Yellow Nails for the #31DC2018Weekly! - Polish Etc. Yellow Nails for the #31DC2018Weekly! 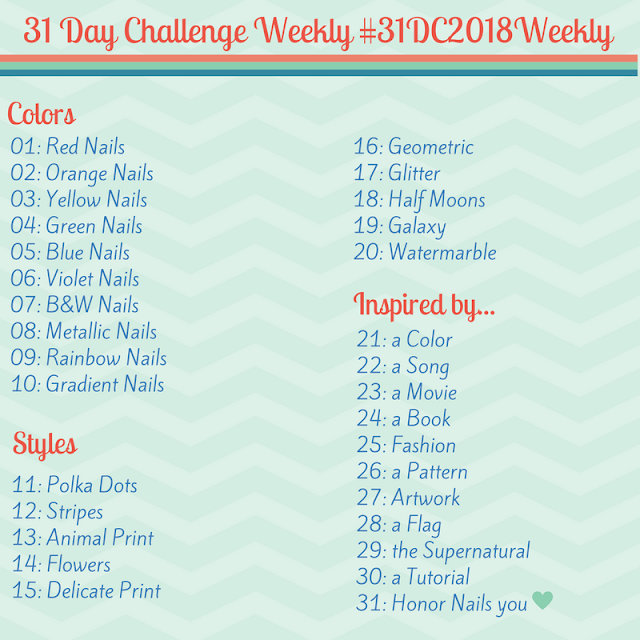 Another Monday, another prompt for the weekly version of the 31 Day Nail Art Challenge! We are on Week 3 now. If you haven't been able to join me yet for the challenge, don't you worry. There are still 28 weeks to go. Plenty of time to catch up. It's time for yellow! I know it is not everyone favorite color to wear on their nails but I like it. Especially the more murky mustard colors. You know, those ugly-pretty shades. Which is exactly the shade of yellow I used for this prompt. I paired it with some other retro colors and designs to give my nails a little bit of a 70s vibe. This simple dotticure was achieved with just three creme shades and a set of dotting tools. I alternated the colors and created different sized flowers and dots on each of the nails. The light mustard yellow creme is Kiko "#369 Light Ochre". The dark forest green creme is Anny "Women for President!". The light taupe creme is P2 Cosmetics "Teacher's Pet".